Another post that perfectly describes all the feelings and questions in my heart as I left the church to make my own spiritual path. The concerns and disquieting revelations were there all the while on my almost 20 year journey into conservative Christianity, but it took the knowledge that my love of my beautiful, loving, kind and compassionate lesbian daughter would put my Christianity in question that caused me to publically pull the plug on the whole thing. Love is enough. Love is everything. Love wins. Debbi, thanks so much for reading this article and taking the generous time to comment. Sure do appreciate you and your encouraging words. My own path was filled with the love and the loving of Christ! I had to do exactly what you did – the day I read a post from a grieving father whose priest told him that if he loved his son his own salvation was in danger. I made a public spectacle of myself – renouncing the church that in many ways kept me alive all my life, taught me what unconditional love really was….. But I too have a gay child. A beautiful boy! I had to step up for him to the world! 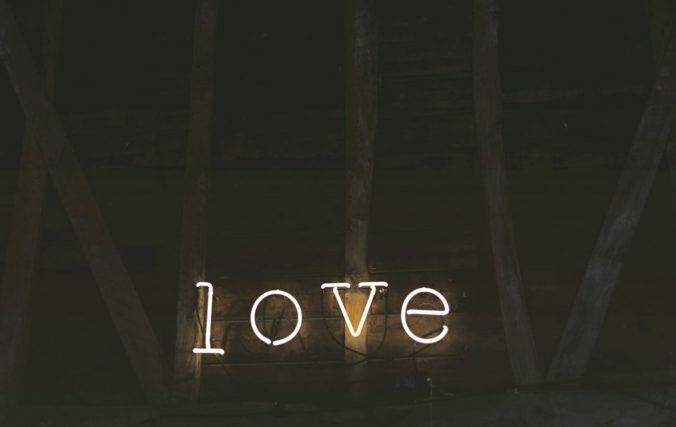 I will never denigrate my own experiences, or the church in general – and I know there will be a day when it will all be about love for everybody else – now I am just concentrating on me being all about love! which is difficult enough!!!! Again, Thank you for this profound post which defines for me the simplicity and enormity of Christ’s love and grace while expounding on how the Gospel has been kidnapped. I think of the “teacher’s favorite” or “mother’s favorite”. Oh how perfectly behaved and yet sly, devious, and cunning this one child elect performs. The child becomes hated because the other kids see the ulterior motives and live suppressed lives in the system. When Christians haven’t even tolerance for all others including other Christians, then we know that their brand of artificial favoritism is not in the least from God. Thanks again! Thank you Nancy, your insight and reflections to this article are greatly appreciated! Through your posts Holy Spirit has turned this conservative evangelical 180 degrees around. Keep chipping away at us with your Grace filled messages and many more will come to the freedom that Love alone can bring! Blessings Bro! That is just so absolutely beautifully blessed!!!! thank you……I have been following your articles, and sharing them on social media….You have a great way of simplifying the truth, cutting thru the twists and turns, then and retelling and relaying it to people in a way they can understand!!!! As I’m writing this, tears are falling, tears of joy. You’ve described exactly how I’ve felt about our Christian religion for several decades. It’s the reason I haven’t attended church in over 25 years. So to read your words telling perfectly what is still in my heart, brought such joy, and hope, that someone else felt the same way and perhaps there is a chance for our “church” to become what it was intended to be. I’ve often commented about exactly this subject on the PCA FB page, but I get the impression that my ideas come across as too simplistic for most. But to me, that’s how it’s supposed to be. Love. Just love. If we could just focus on Jesus’s message of love, I think how glorious our world would be. Reading your article gives me inspiration to hope for that. Thank you so much for this wonderful piece! Julie, thank you so much for reading and taking the time to share such an encouraging and uplifting comment! You are not alone! Calvinism kills unconditional love. If I’m elect, and you’re damned, well then, God must love me more. Ugh. Even your tab line is shameless, self-promoting virtue-signaling! Your problem is that you have perverted the word “love.” Real love doesn’t affirm sin. Period. Agree with Jesus on what real love is then start over. Uh, no, the reason is that you and the author aren’t Christians. I am a little confused about your approach. What Is the purpose of Christianity? Does Christian love imply that the Christian must accept all belief systems as truth and any activity as acceptable? Does everyone go to Paradise (Heaven) because there is no “Hell”? If there is a Hell, a good and loving God would not allow anyone to choose to go there? Does God have no expectations of us – good, bad, or indifferent is acceptable in his sight? Galatians 5:19–21 indicates to me that everyone is not given a free pass. I’ve been a religious “none” since I was a teenager — after growing up in a conservative/Evangelical environment that preached nothing but hate/fear. Welcome to humanism, sir. It’s a scary road, dark at times, but far more intellectually and emotionally fulfilling than evangelical Christianity. I don’t know if I’ll ever return to Christianity after having seen what you describe here ^^ throughout my childhood, but I absolutely resonate with your posts. Having Trump in the White House is a stark reminder of my childhood in the evangelical community. It is very painful and, indeed, dark. I would never wish that lifestyle on anyone. Blessings to you. I would suggest joining an online MeetUp group to talk with fellow “humanists” about your experience — there appear to be many such communities popping up since the election of people who are questioning their faith. All the comfort to you. Continue to seek the truth.